Strictly speaking, Lew Archer is only supposed to dig up the dirt on a rich man's suspicious soon-to-be son-in-law. But in no time at all Archer is following a trail of corpses from the citrus belt to Mazatlan. 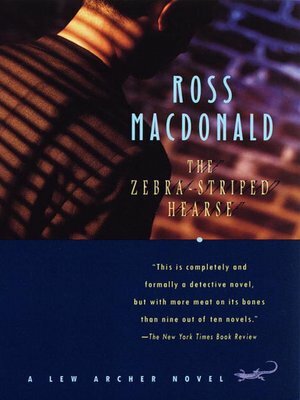 And then there is the zebra-striped hearse and its crew of beautiful, sunburned surfers, whose path seems to keep crossing the son-in-law's—and Archer's—in a powerful, fast-paced novel of murder on the California coast.